A fully functional oil-fired boiler guarantees you receive efficient heating all year round for a warm, welcoming home. As leading heating experts with over 50 years of combined experience, The Same Day Plumber is the first choice for many in Essex, Suffolk & Cambridge, and the surrounding areas. 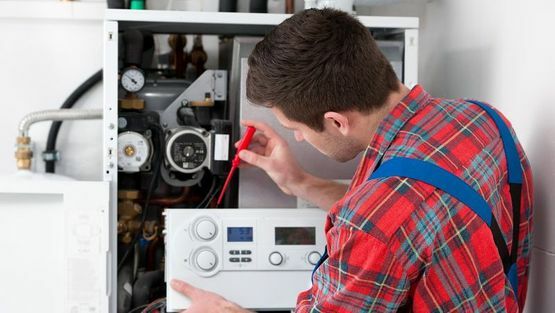 You can have complete confidence in the skills of our team due to the high-quality oil boiler repairs and installations that we’ve undertaken previously. Choose us for an unrivalled, hassle-free service now. Effective upkeep of your oil combination boiler is one of the main ways of running an efficient household. A fully functional home heating system helps to keep fuel bills down as well as improving the green credentials of your property, and as such, it’s important to hire the expertise of an accredited heating professional who is fully trained to carry out connection work. For high-quality oil-fired boiler services, don’t hesitate to contact our team of experienced engineers based throughout Essex, Suffolk and Cambridge, and our friendly booking staff at our head office in Colchester. We’re able to arrange a visit from one of our engineers to discuss your requirements, so call us now. Contact us, in Essex, Suffolk & Cambridge, to speak to our team about our oil boiler repairs and installations.